Sixteen-year-old, Dhriti Swarup has just received a taste of it, with her Kathak Manch Pravesh round the corner. NEW DELHI: Debuts of any kind have the reputation of being dubiously unpredictable. They can go really well or awfully wrong, however, the tingling sensation of happiness, excited nervousness and uncertainly, all mixed together, results in a zestful pouring. Sixteen-year-old, Dhriti Swarup has just received a taste of it, with her Kathak Manch Pravesh round the corner. It’s hit a high note with her right before her first solo performance on stage. Swarup was six when she started learning dance. It was Bollywood that caught her fancy the first time. Taste soon shifted to Kathak, and in retrospect, she is thankful that happened. 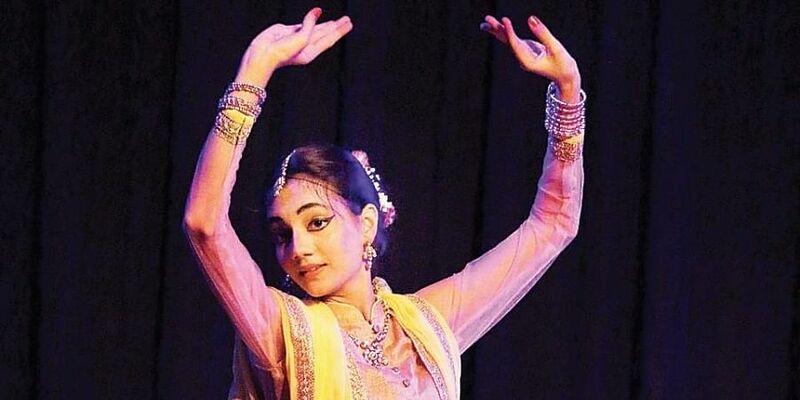 From being shy and timid, she says she feels confident and expressive, after throwing herself into the pursuit of Kathak dance. For her upcoming performance, she has prepared a Ganesh Vandana, that’s followed up by a technical routine in teen taal. The next one is a gagar na bharan det, to thumri music. It depicts Krishna, the mischievous cowherd as he follows Radha to the well and blocks her path. “Portraying the young and playful Krishna was closely felt by me. I could easily relate to the scene when Radha goes to Yashoda ma to complain about Krishna. Having an elder brother, this is a scene that plays out in our house routinely,” she smiles. Soon after, she will perform a rendition in dhamaar taal. It will be followed by Nandkumar Ashtakam, a bhajan. The story portrays as the embodiment of supreme bliss. Next will be the Govardhan Leela gat bhav. “I show how Radha and her friends prepare to worship Lord Indra but change their direction when Krishna asks them to worship Govardhan Parvat. Infuriated, Indra orders destruction of the villagers. Krishna lifts the Govardhan parvat and saves them,” she tells us. The day will also see a literary turn of events with the launch of Karana-A Kathak Perspective, in which Swarup interprets, with the guidance of her guru Shovana Narayan, the 108 Karanas of the Natyashastra. The girl surely has her way with dance, as she does with her words. Good to know: August 5, from 11 am- 12.30 pm, at CD Deshmukh Auditorium, IIC, on Lodhi Estate.